It Works! When used regularly, tooth powders are an excellent way to remove surface stains from teeth caused by smoking, coffee, wine and other sources. It also keeps your gums healthy and can even help re-mineralize your tooth enamel! * Better than Commercial Toothpaste and White Strips. Tooth powder provides similar whitening and oral care benefits as industrial brand pastes and strips, without nasty chemicals, abrasives, foaming agents and artificial ingredients. * By using this amazing activated charcoal teeth whitening powder, your teeth will day after day start to regain their lost bright, white, and spotless image - and you'll find yourself smiling a whole lot more! 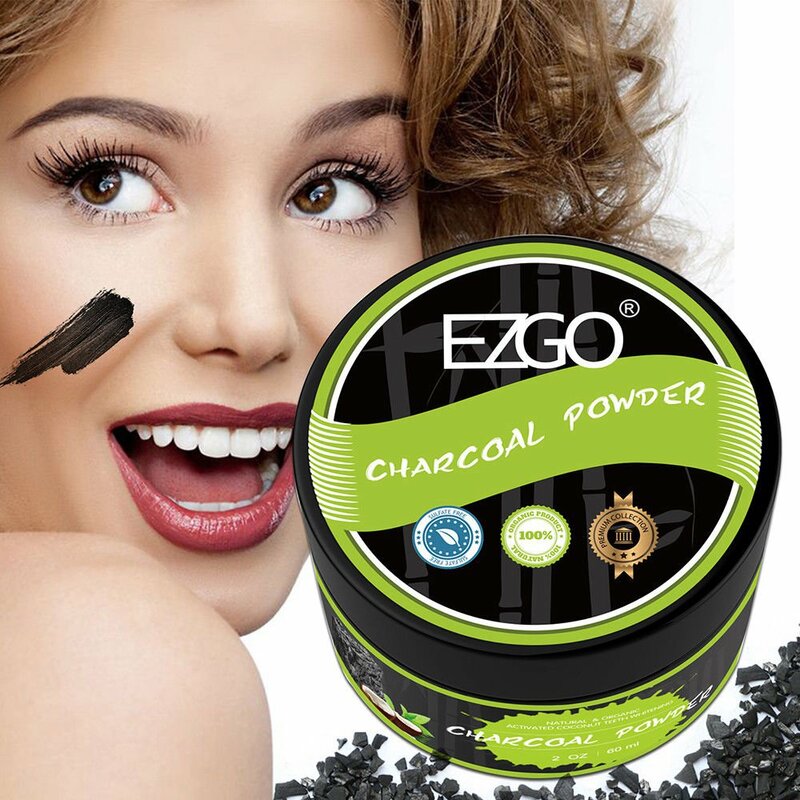 * Unlike teeth whitening products that utilize peroxides and other chemicals, some of them of questionable safety, this powder is nothing more than activated coconut charcoal powder: strong and effective, yet 100% natural and safe for the health of your teeth and gums!Product Description:EZGO Activated Coconut charcoal powder - natural teeth whitening is the best way to whiten your teeth naturally. Derived from the highest-quality coconut sources, our activated charcoal is safe to use on your teeth and easy on your gums. Naturally whiten your teeth - if you're not a fan of dental-grade whitening peroxides, active wow charcoal teeth whitening is a great alternative. This formula whitens your teeth over time, and helps remove stains from a number of causes: coffee-stains, wine, cigarettes, and more - all without bleach.Tips:Be careful when opening lid for the first time.